The Sport Psychology & Counseling (SPC) area is a unit of the Athletic Training Department that is committed to fostering holistic wellness and positive mental health among all student-athletes at LSU in an effort to enhance their lives both during and after intercollegiate athletic participation. SPC provides clinical support, education, and strategic programming to ensure that wellness and mental health are vital components of all departmental services for the social, cultural, academic, and performance interests of all student-athletes. To that end, SPC works closely with the entire Athletic Department, university committees and task forces, and community affinity groups whose charge is to support the overall wellness and mental health of all LSU students, faculty, and staff. The core tenants of the Athletic Department and SPC missions provide a strong platform from which to launch a focused vision for education, transformation, and innovation. Dr. LaKeitha Poole serves as the Director of Sport Psychology & Counseling for the LSU Athletic Department. 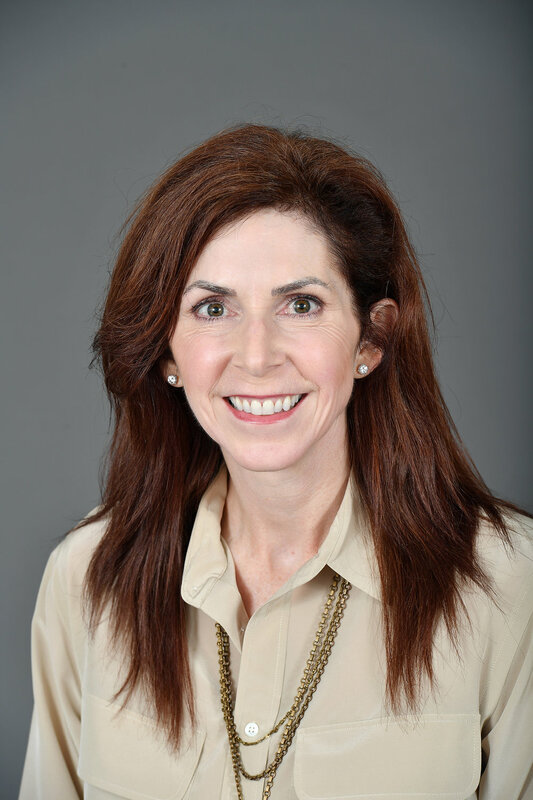 As a licensed professional counselor (LPC), Dr. Poole's clinical interests include identity development, cognitive and behavioral modifications, and interpersonal relationships. In the SPC department, she works with student-athletes to overcome depression, anxiety, grief, sport & career-related issues, stress, addiction, dysfunctional eating, and relational conflicts. She also works with individual sports teams on creating wellness, team building, and mental skills training plans to increase cohesion and strengthen overall performance. A native of New Orleans, LA, and graduate of Florida State University, Louisiana State University, and Regent University, Dr. Poole’s research emphases include mental health and wellness techniques among college students, vulnerability and resilience in domestic minority populations, and family systems. Her clinical training included practicums and internships in the LSU Student Health Center Mental Health Services, LSU Office of Multicultural Affairs, HIV/AIDS Alliance for Region Two, Inc. (HAART), and the Olinde Career Center. A former Assistant Director in the LSU Office of Multicultural Affairs and coordinator of the LSU African American Cultural Center for over 5 years, Dr. Poole also serves as an adjunct instructor in the College of Human Sciences & Education, is a Board Member for the Baranko-Clark YMCA in Old South Baton Rouge, and is the owner of a local private practice, Small Talk Counseling & Consulting, which was featured in Ebony Magazine’s 2016 list of Black Mental Health Resources. Dr. Poole is passionate about the intricacies of working with diverse populations, particularly young adults involved in sport, on transitional life issues. Her roles at LSU have allowed her to present on a wide-range of mental health topics to a number of campus community constituents and professional organizations including LSU Women and Gender Studies, the LSU Black Male Leadership Initiative (BMLI), LSU Honors College, the National Conference on Race & Ethnicity in American Higher Education(NCORE), the Association of Black Culture Centers (ABCC), the Southern Association for Counselor Education and Supervision (SACES), the National Board of Certified Counselors (NBCC), the National Association of Academic and Student-Athlete Development Professionals (N4A), the Sun Belt Conference (NCAA Division I), and the Louisiana Counseling Association (LCA). In her free time, she enjoys taking trips home to New Orleans to visit family and attend festivals, traveling, reading, and lounging around with her Shih Tzu-Maltese, Cody. Bruce Buggs II, a native of Alexandria, La., began his career with LSU in August 2017 as a Coordinator of Mental Health for Student-Athletes. Bruce is responsible for providing counseling, mental health education and treatment resources for LSU student-athletes. Bruce obtained his undergraduate degree in Psychology from Southern University in 2004, and completed his master’s degree in Psychological Counseling at Nicholls State University in 2006. He is a Licensed Professional Counselor and board approved Counselor Supervisor. In 2013, he was qualified as an expert in the field of Licensed Professional Counseling by the 17th Judicial District Court. After obtaining his master’s degree, Bruce worked 7 years for the Lafourche Parish Drug Treatment Court as a substance abuse counselor and operated his part-time private practice until 2013, when he moved to Lafayette, La. He was employed by the Lafayette Parish Sheriff's Office as a mental health counselor and psychiatrist liaison for Department of Public Safety & Corrections inmates. Bruce was promoted to the position of Clinical Supervisor for Youth Services in 2014. He left the Sheriff's Office in 2015 to accept a position in the counseling department at the University of Louisiana at Lafayette. He also served as a Title IX Confidential Advisor at UL-Lafayette. Bruce is a member of the Louisiana Counseling Association and also conducts board approved Motivational Interviewing presentations. With experience in areas of substance abuse, youth and families, private practice, and presenting at various trainings and conferences, Bruce brings well-rounded professionalism to the LSU Athletic Training staff. In his spare time, Bruce volunteers as a big brother through Big Brothers Big Sisters and enjoys playing basketball, working out, and traveling. He is married to Sara Rodrigue Buggs. Christine currently serves as Coordinator of Student-Athlete Mental Health in the LSU Athletic Department’s Sport Psychology & Counseling Services. A Master’s graduate of the LSU School of Social Work, Christine interned at the Baton Rouge Crisis Intervention Center and LSU Mental Health Services. Sotile began her employment as a Strategy Tutor in the Cox Communications Academic Center for Student-Athletes in 2010. In this capacity, she worked with student-athletes, facilitating their transition into college and helping them adapt to the challenges of university life. She received the Tutor Spotlight award in 2013 and Tutor of Distinction award in 2015 from peers for her service and commitment. In August, 2017, the Athletic Department hired Christine as Coordinator of Student-Athletes Mental Health. Her duties include assessing and treating common psychological issues and working with teams and coaches on program development. Christine resides in Baton Rouge with her husband, Steven. They have three children, Caroline, Stephanie, and Joseph. Eddie St-Vil was born and raised in sunny south Florida and moved to Baton Rouge in the Summer of 2014. He received his Bachelor of Arts in Legal Studies from the University of West Florida and a Master’s in Higher Education Leadership from Valdosta State University. In the Fall of 2016, he decided to pursue a Master’s of Clinical Mental Health Counseling as an opportunity to advocate for students who struggled to not only navigate the LSU campus structure but also struggled with challenges that arose throughout their daily lives. He currently serve as the Assistant Director of Student Advocacy & Accountability where he works with students experiencing a high level or stress, crisis, or distress. It is through this position that he found a passion for helping people resolve various challenges they encountered. In his free time he enjoys eating, going to festivals, traveling, anything relating to art and working out. Shelly Mullenix began at LSU in 1997 as part of the LSU athletic training staff, coming to Baton Rouge from Florida State, where she worked as a Graduate Assistant Athletic Trainer from 1992-1993. She was promoted to Assistant Athletic Trainer at FSU in 1993 and served in that capacity until December 1996. As LSU’s Senior Associate Athletic Trainer, Mullenix plays a key role in servicing the athletic training needs of the Football team on a day-to-day basis. In addition to Mullenix's role as an Athletic Trainer with the Football program, she also was given the title of Director of Wellness in the Spring of 2009. As the Director of Wellness, Mullenix’s duties are very diverse. She serves as the Athletic Training Liaison to the Athletic Department Assistance Program (ADAP) which helps to maintain the physical and psychological well being of the student-athlete and is the Athletic Training Liaison to the Academic Center for Student-Athletes assisting in the identification and treatment of academic and behavioral issues. These roles have prompted her current pursuit of a master’s degree in Social Work and desire to intern in the Sport Psychology & Counseling department. She is married to Matthew Mullenix and has twin daughters, Maggie and Briana.